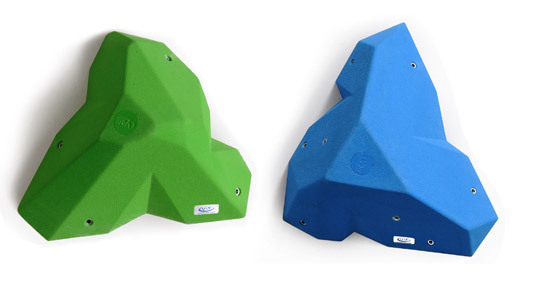 These holds have been shaped and produced according to AFNOR Rock Climbing Holds European Standards. Beside, VOLX CLIMBING has been for years an active member of the group of compagnies participating to the establishment, modification of the current standards. PE is the term used for the resin PolyEster. It is the main ingredient used to make up our resin mortar. Designed with the help of the principal actors in the market, our resin has been developed in order to conform to our criteria of quality, to make the best possible finished product. 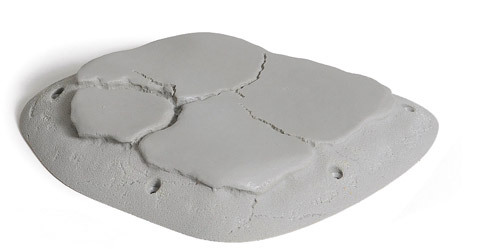 Its texture is very similar to the feel of the rock, with a perfect “grip” sensation. It is also more resistant to UV and to detergents than PolyUrethane. Originally, this material was introduced for the manufacture of technical components frequently used in the aeronautic or naval industries. The procedure consists of designing a hull made up of multiple layers of woven fiber glass, consolidated using Polyester resin, in other words, a composite structure. The advantages are its light weight and its (almost) limitless strength to produce different forms. We produce our composite forms following the same method as our holds, in other words, with a negative texture; we do not add sand to a smooth surface (positive texture) with the disadvantage of reduced durability and feeling aggressive and abrasive to the touch. We create a grip in the main body, which is porous and thick, with proven durability and smoother to the touch. As it has been continually evolving since its market launch is 2009, our laboratory tests reinforce our idea than a good Polyester formulation can be better than a low-end PolyUrethane. 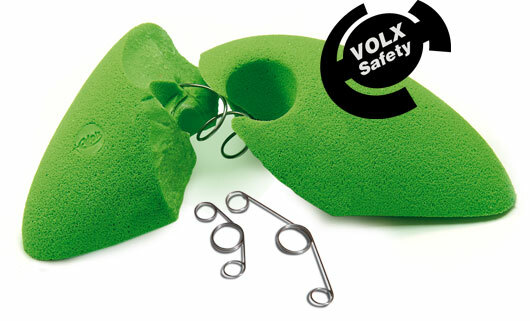 Volx Safety is a metal security component inserted during the pouring procedure, starting at size M. It guarantees a heightened level of security for users! If a hold is accidentally broken, only the smallest bits of metal, with no danger for users, will fall to the ground. The most common is excessive tightening. The second is setting up holds on an uneven surface, which creates a cantilever effect. 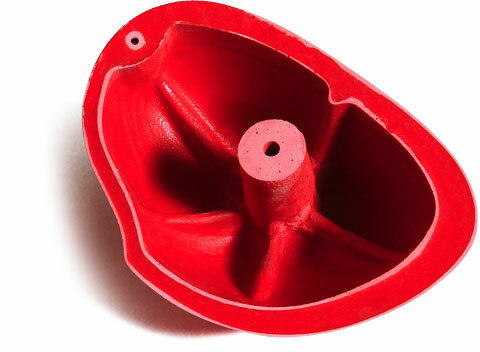 By using VOLX holds, you eliminate the risk of large pieces of debris falling on other users. Borrowed from production methods used in the car or aeronautics industry to make complex parts, then adapted for our pouring method, this procedure enables us to produce hollow holds, which are lighter and easier to use. All our holds are equipped with the Double Bolt System (DBS) so they can be used either with Socket Head Cap / CHC BTR (8 mm – H) bolts or Flat Socket Head / conical countersunk bolts FHC BTR (6 mm – H). The new round head screw Button Head / BHC (6 mm – H) enables flat clamping on the XS hold models. So you can preserve your wooden structure from drilling screwholes, while still fixing technical micro holds on it. You can also use this type of hold on concrete walls. On request, we can supply INOX screws. PU is the term used for the resin PolyUrethane. 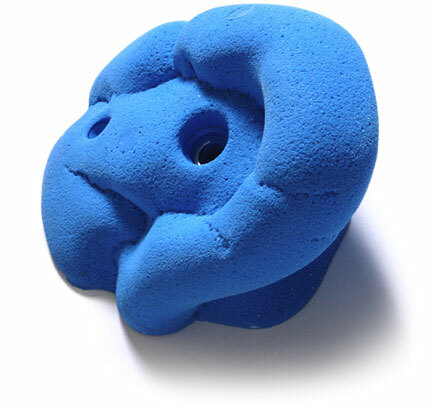 It is the evolution of climbing hold material! After years of research, VOLX came up to a PU formula most competitive in terms of breakage resistance, weight ratio and grip/texture durability. A softer feel will allow you to train even longer! Look for this step forward!